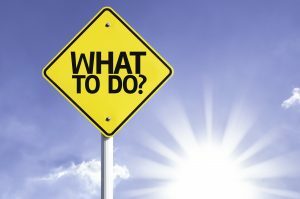 Loose Teeth: What To Do? We know that when something somewhat shocking affects your oral health, your instinct may be to try to convince yourself that everything is fine. “I’m sure I’m just imagining things,” you may say to yourself. However, when you have realized that you have loose teeth, we strongly advise you to avoid all of your urges to rationalize what’s going on and, instead, to realize it may be a symptom of a smile problem. However, don’t panic. Just tell yourself that yes, you may be experiencing periodontal disease, you might have untreated grinding that needs addressing, or it might be nothing that requires treatment at all (just some monitoring from our team). As you are well aware, you can make guesses all day long but you won’t actually know why you have loose teeth or what to do about them until we see you for a dental visit. Do your best to relax and simply come in for a checkup with our friendly team! Whatever is going on, remember that our dental care is comprehensive, so a solution is most certainly on the horizon. Now, may we’ve told you that you need periodontal care to treat a problem that has caused your loose teeth. Perhaps we have discovered TMJ disorder and have suggested that you wear an oral appliance! Maybe we discovered that you simply need additional checkups, so we may keep an eye on your teeth. Whatever the case, follow through! It will help you keep your teeth right where they stand. Don’t hesitate to contact our practice if you notice that your teeth feel loose. Offering care right away is the best approach to protecting your oral health. To learn more, schedule an appointment or initial consultation by calling Advanced Dental Concepts in Auburn Hills, MI today at (248) 852-1820.